A growing number of companies across a wide range of sectors in Canada and the U.S. are embracing artificial intelligence in order to make their businesses more efficient and competitive. With the help of researchers including those from the Department of Computer Science, University Toronto and the just-launched Vector Institute, AI and more specifically, the sub-field known as machine learning, is giving businesses the opportunity to beef up existing technologies – turning cars into self-driving vehicles and creating incredibly accurate translating software, for example. 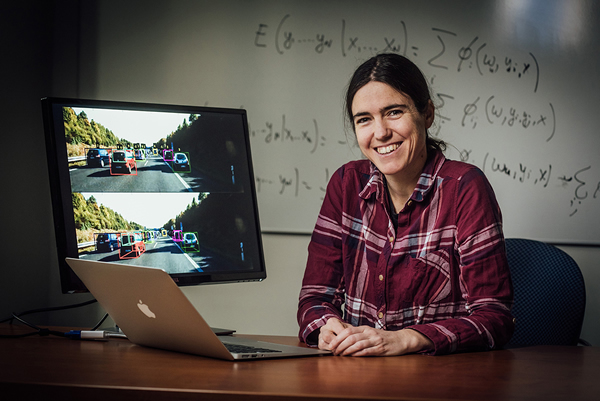 Associate Professor Raquel Urtasun, who is a co-founder of the Vector Institute, is featured for her work to help develop self-driving cars. Read more at U of T News.